There are two fireplaces: One in the Master Bedroom and one in the Living Room. They should be ready for you. All you should need to do it flip the wall switch to "ON." 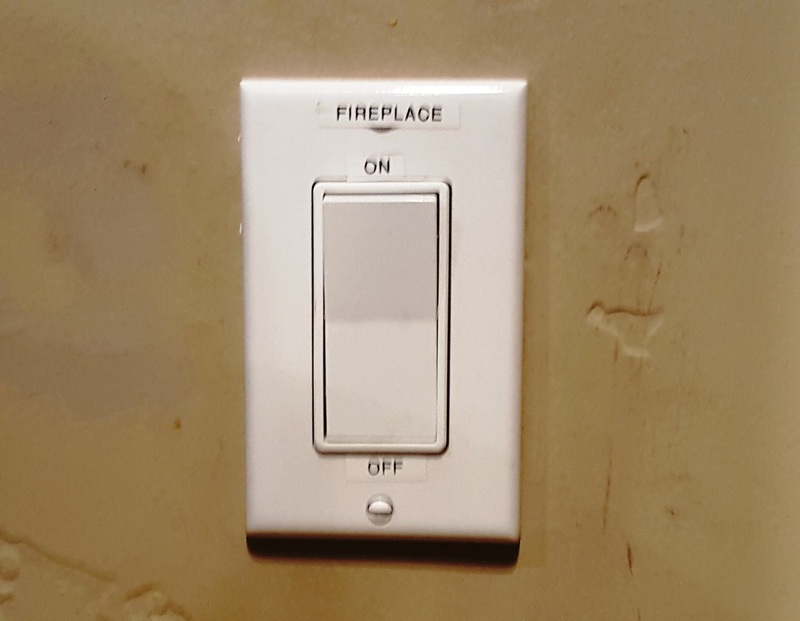 The switches are mounted on the wall adjacent to each fireplace. 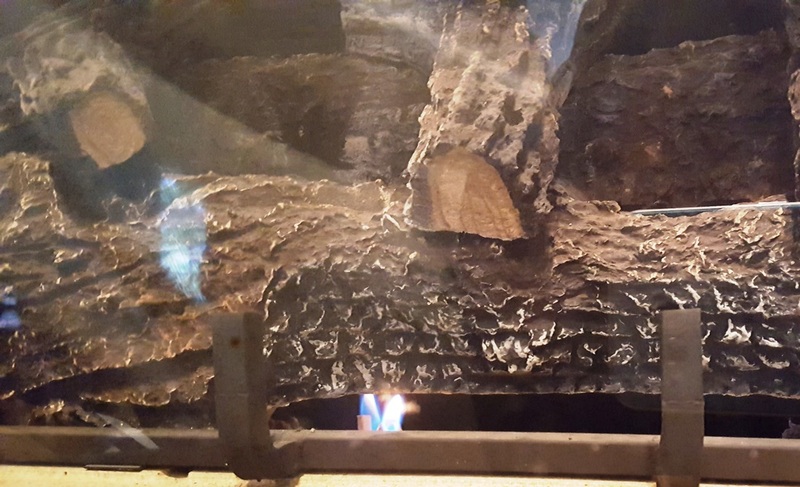 Look to the bottom left of the fireplace, just under the logs. 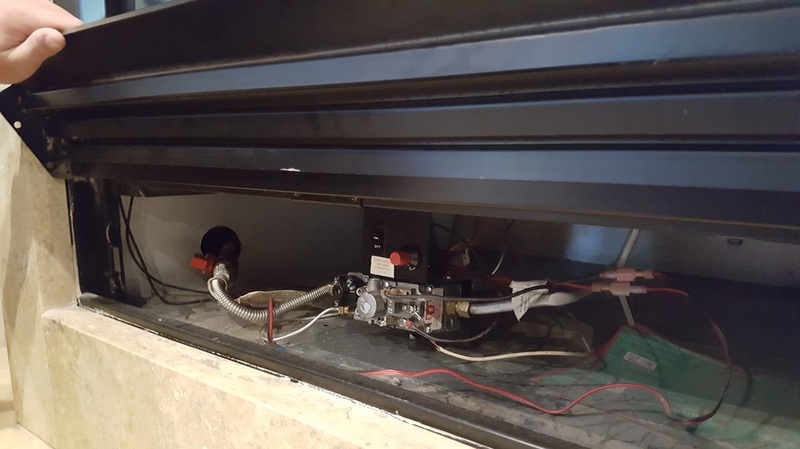 Is there a visible pilot light? 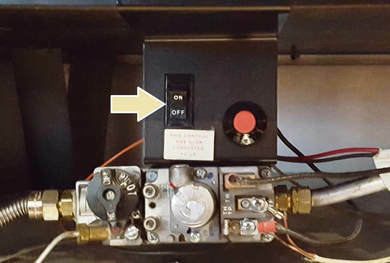 If the pilot light is out, you can re-light it following the Pilot Relight procedure below. 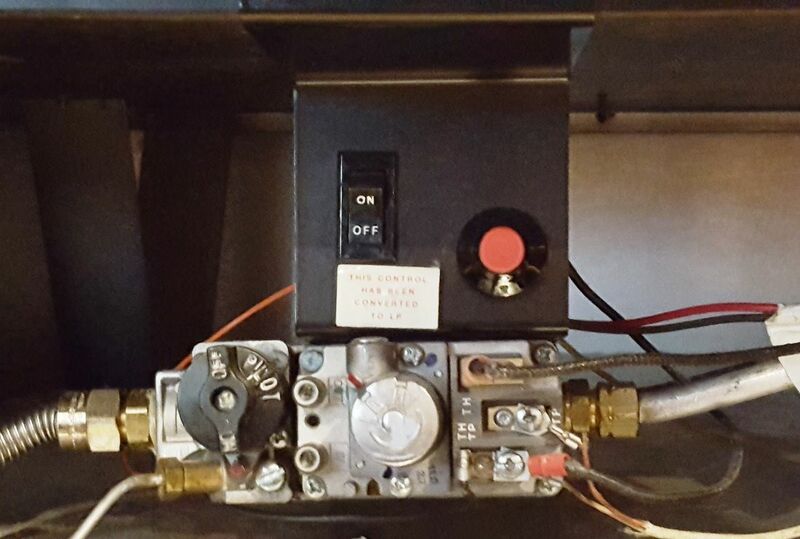 If the pilot light is lit, the controller needs to be reset. Follow the Controller Reset procedure below. Both procedures require access to the bottom of the fireplace. Simply open up the black slatted panel under the fireplace to take a look at the fireplace controls. 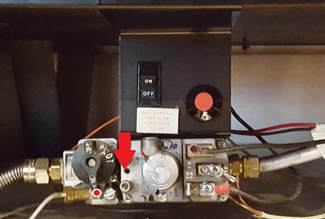 Ensure that the red gas control handle is turned horizontally, and 'in line' with the gas line as shown in the picture to the left. Take a look at the controls. The on/off switch should be set to OFF. The round knob should be in the "ON" position. 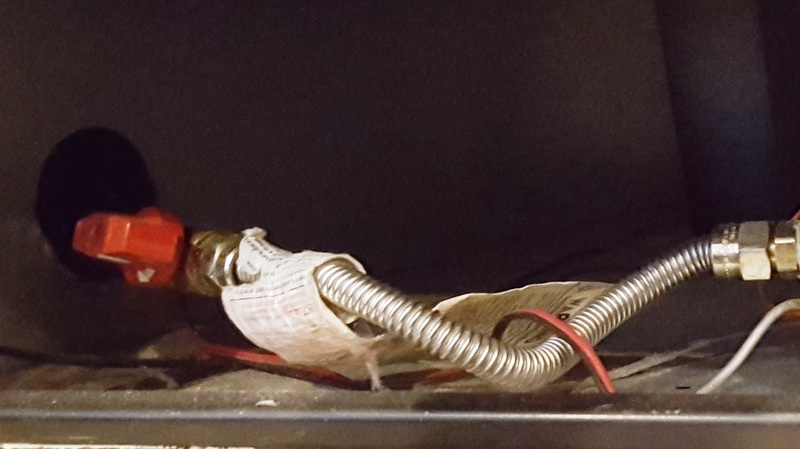 6) Make sure the pilot light remains lit.